Whenever you decide to sit down and start preparing for the AP History exam, that’s definitely a good idea. It gets much better if you hold quite enough time in reserve, seriously. However, the nature of any exam is very strange. Judge it for yourself: the less you know about the coming exam, the more nervous you may get, and therefore the more you want to find out about how to manage its tasks and pass it successfully. On the other hand, the more info you get from the Internet and, probably, from your older friends who passed this exam a year or two ago and now treat it just like a vague old nightmare, the more nervous you may get anyway. This is how the well-known paradox works: the more you know the better you understand that you actually know very little. 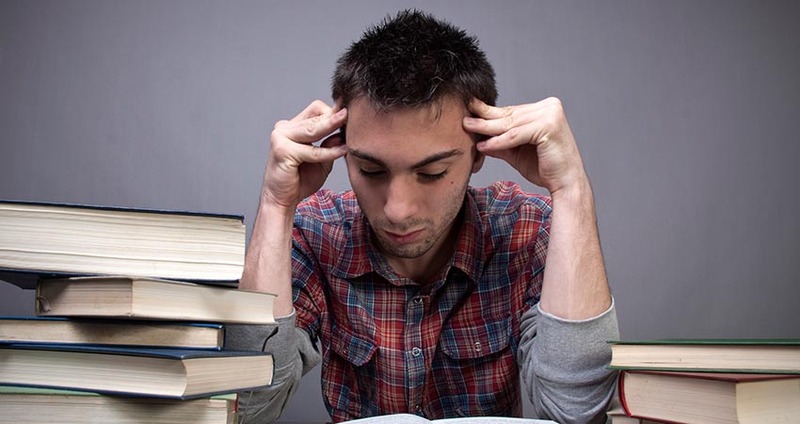 Although this issue refers more to the sphere of philosophy or psychology and not to education or academic writing specifically, still it can greatly affect your general attitude towards the exam. Unfortunately, such influence may appear to be rather negative and cause a lot of stress. The consequences can be passed over in silence. Well, the same situation is more than likely to happen when it comes to the annual AP exam in History. As you know, you can pass one of the three kinds of this exam: in United States History, in European History and in World History. Each of them has a standard set of tasks including the so called DBQ and one long essay. Among the tasks, a DBQ essay is, probably, the most puzzling one. The abbreviation solely may throw you into confusion, to say nothing of what is actually implied by these three letters. You start searching for some decipherment of the term and samples of the texts relating to this type of essay, but still you feel lost and depressed at the complexity you have to face. Come on, don’t despair! We’re always here to provide you with a few handy pieces of advice! Learn more about DBQ essays and discover some nice tips to help yourself with managing your preparation process and to finally succeed with your AP exam. So, we’ve already mentioned that this is one of the compulsory writing tasks of the AP History exam. Let’s make out what features this piece of writing has, why it may seem so scarily sophisticated and why there’s actually no need to worry about it. The abbreviation of the DBQ stands for document-based question. Thus, you’re supposed to compose an essay on a particular issue basing on the documents provided. Usually you’re offered about seven sources to use for your writing. Of course, it’s recommended applying to as many of them as you can, so that your paper got a good grade. Speaking about the grades, a the DBQ holds 25% of the total grade, which you can receive for the AP History exam. The most significant factor of your stress during the exam is definitely the limited amount of time you’re given. In total, you’ll have 55 minutes. Ten minutes are intended for pre-reading of the task and the provided extracts of documents. The writing takes the rest of the time. Therefore, you have 45 minutes to create a well-thought and well-organized text. Considering the time limit, you can try to write a few DBQ essays while preparing for the exam. In order to catch the general idea of how to manage this task successfully, you can check a few samples before working on your own draft. The examples of standard DBQs and essays on them can be found on the College Board online resource. So, you’ve found a dozen of text samples, read a few of them thoroughly, looked through the rest rather carelessly and, finally, found yourself quite disorientated in the variety of issues offered for the DBQ. It may seem to you that your preparation ended before it even started, but the benefit you’ve got from it is hardly noticeable. As you still have some time before the day of the AP exam in History comes, wakes you up and takes you to the room where the inevitable will occur, have a look at the following guidelines provided by our writers. These tips have been worked out with the aim to help students deal with a big number of materials devoted to different aspects of the AP History exam in general and a DBQ in particular. Hope, you’ll find a lot of useful things. Mostly it depends on the total amount of time you have as well as how often you plan to spend it on the preparation process. Frankly speaking, it’s better to choose one particular day for examining the samples you’ve found (choosing two particular days would be definitely better, but you might be busy with other tasks). One day for one DBQ sample can be enough. So, if you still have a month, you need four samples and four, let’s say, Saturdays to work on them. the development of the topic: mind the general style of the text and how the main ideas are expressed and proved. It would be helpful for you to take some notes of what you like and don’t like about the selected sample. Thus, you can see which things are worth including into your own essay, and which aspects you would like to improve in order to get an excellent text.